Installation of awnings to a window, door, deck or storefront has become very popular today. These structures can be composed of canvas or other materials stretched over a frame and are installed on the outer walls of a building. Both commercial establishments and residential homes have these add-0n structures to provide a shade against rainfall and sunshine. Furthermore, awnings can improve the curb appeal of your home and make it look more attractive and beautiful. 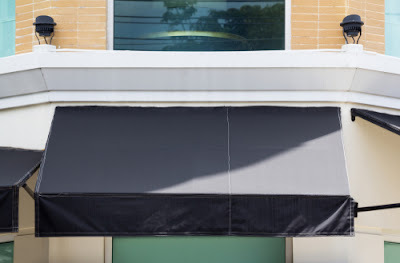 If you are looking to install awnings in your home or commercial property, the certain vital things that you need to keep in mind for the best installation. 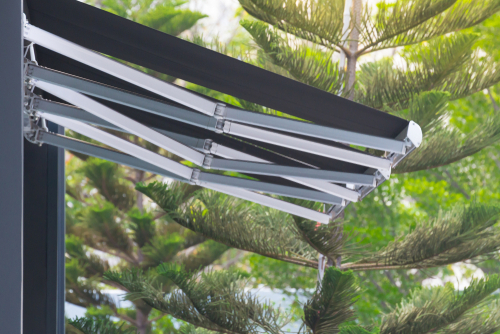 Let us look at these awning installation tips. When choosing the awning, choose the one that best fits your purpose and requirements. Awnings come in basically come in two varieties: retractable or fixed. The difference between the two is the capacity to move. A fixed awning serves as a permanent structure. It provides continuous weather protection and is always there for uninterrupted cover and shade. Retractable awnings, on the other hand, offer movement and provide the option of shade or sun. If you want full weather protection, then a fixed awning may be the best alternative. Businesses prefer fixed awnings for protection on the entrances and exits. For homes, a retractable one can be perfect since it allows a homeowner to manually or automatically retract and extend the awning as required. Retractable ones are convenient for homes and offer control to the homeowner of when how it is used. Choose from retractable or fixed awnings; whatever meets your efficiency and design needs. There is a wide variety of colors and fabrics offered by various manufacturers today. Choosing a high-quality fabric is one of the best investments that you can ever make for your home. The difference in price between low quality and high-quality fabrics doesn't justify you to invest in a cheap fabric. You get what you pay for. Heavy and high-quality fabrics resist fading as compared to cheaper or light ones. That being said, be sure to make an informed choice for your home. Also, choose the color that will best match the exteriors of your home. There are wide varieties of designs from which you can choose from - dome-shaped with stripes or solid colors, convex, concave or standard. However, if you are thinking of something else, you can have your awning customized to your likes and preferences. You can also choose the material you want for your awning. Some of the most common materials are canvas, acrylic, and tarpaulin fabric among others. Just make sure that the design of your choice complements the structure and appeal of your home. If you have a business, then awnings can market your business and make it stand out. Thus, focus on making them stand out. You may be required to invest in a costly structure to make sure you stand out. That is not the only thing, the fonts and coloration should match local vibes. 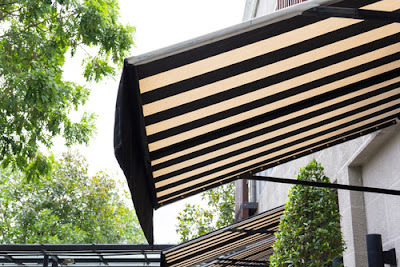 If you don't know how you can make your awnings stand out, then consult a design expert. Durability is a very vital quality that you need to keep in mind. Quality awnings can go for a minimum of ten years without the need for being replaced along the way. Make sure that the frame won't break or snap during strong winds and rains or when it is retracted since such an incident may be dangerous. Choosing man-made fabrics over natural fabrics may be beneficial since they are resistant to fading, rotting and may even last six times longer. If you are a condo owner or home owner that is part of an association, check to ensure that the installation of the awning doesn't go against association bylaws and rules. Since awnings save energy and minimize cooling costs, most associations accept the idea of installing one, provided it's beautiful and best fits the building. In other cases, you may have to ask for permission and provide precise details of size, color, and manner with which the awning will be installed. No matter how you like a certain design of awning, it may be impossible to choose it if it's price doesn't fit your budget. Therefore, know the cost that you can afford but be reasonable about the quality of services you require. As said earlier, don't go for a low quality awning just because it is cheap. This may even cost you more in the long run when you consider replacement costs. Consider your budget but don't go for cheap, low quality materials that will stress you as time goes by. The best awning installers are willing to come to your home, inspect where you want the awning installed and take the necessary measurements to make sure the awning fits perfectly. This will save you times and avoid delays because redoing won't be necessary at all. When deciding for the company that will make the installation, research and due diligence can go a long way in making the project easy for you. Ask for references and if possible, take a look at homes that have had awnings installed by the company you are considering. Talk to the homeowners and get feedback on your potential awning installation company. There are many companies that offer awning installation services to people and they all have different prices. Call around and compare different companies with their prices to see where you can make savings. Awnings not only provide protection against the sun, but they also offer shelter from strong winds and rain. They can also be perfect advertising tools when chosen and installed properly. If you're looking to install an awning for your home or business, then go for the best. With the above awning installation tips, you are one step closer to having a perfectly looking awning in your home or business.